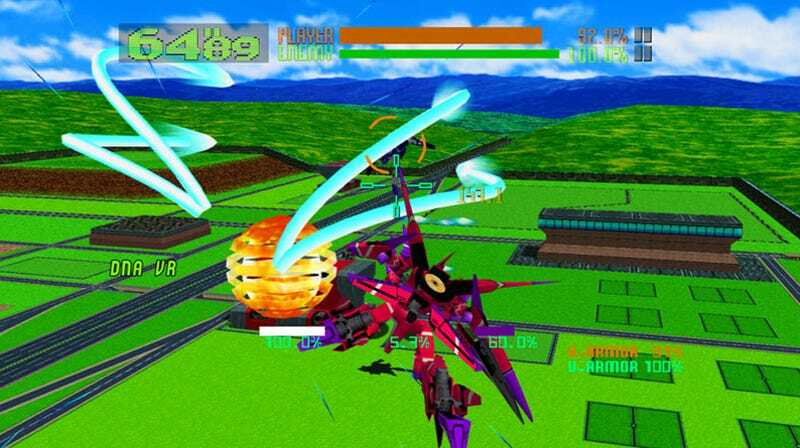 Don't fault us for being extremely excited about the prospects of Virtual On battles via Xbox Live Arcade. Instead, spend that time looking at crisp and clean direct-feed shots of the Sega mech fighter. True, we're still holding out hope that Sega will re-issue its bulky twin stick arcade controller for the XBLA release of Virtual On Oratorio Tangram, but have a plan in place if it doesn't—a total nervous breakdown and vulgarity-laden online meltdown. Perhaps we'll find solace in the VR customization option. Until then, enjoy hi-def pics in our gallery below. Or, catch that trailer you might've missed.